Stacy Barnett, founder of Scentsabilities Nosework, is an avid and successful competitor as well as a talented instructor. Stacy is available both online and in person. Online classes are available through Fenzi Dog Sports Academy. Stacy also holds weekly webinars and is available in person for seminars worldwide. Classes are geared towards all levels of competitors, regardless of your venue of choice! Come see why Stacy’s FDSA classes receive consistent accolades. Tuesday is webinar day! Topics run the gamut and are a popular augment to every Nosework handler’s education. See also for special events! Stacy is a popular clinician and travels across the US and abroad teaching Nosework! Currently booking 2019 engagements. Want access to free educational resources? Read Stacy’s blog and listen to her podcast. 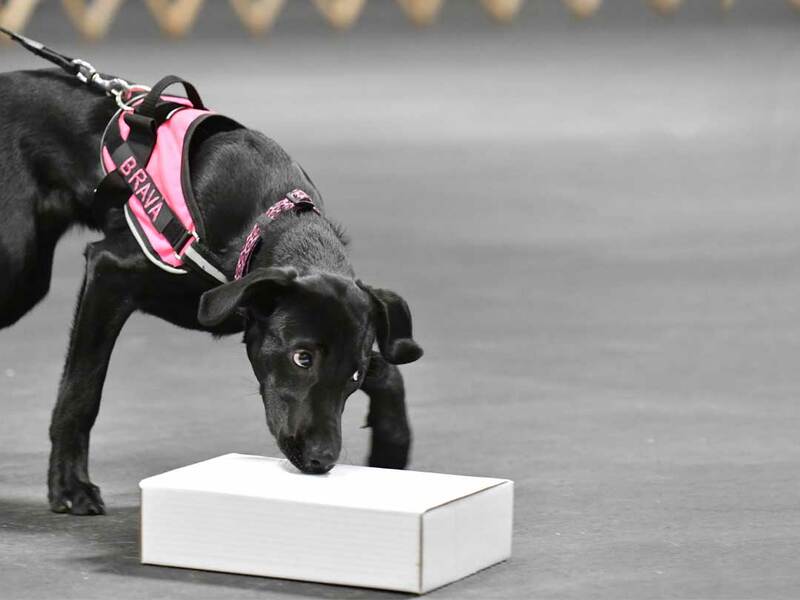 Nosework is one of the fastest growing dog sports in the world. It’s modeled after real world detection. In Nosework, your dog searches for essential oils, usually on cotton swab. You may search inside buildings, out in the open, boxes and luggage, on vehicles and even buried in the ground! Every search is different and exciting. This is a timed sport where the dog’s skill and handling come together. Nosework is a sport that every dog and handler can do. It’s a great way to focus hyper dogs and calm nervous dogs. You will be surprised how Nosework can build confidence. Plus it’s FUN! What can it do for your dog? Did you know that 1/8th of your dog’s brain is dedicated to olfaction? Nosework engages the whole canine brain in ways that your dog loves. 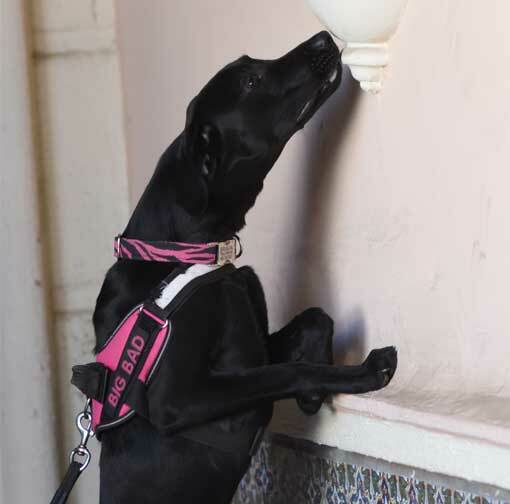 Doing Nosework the right way builds confidence biologically and soothes the canine brain. It can build confidence and reduce fear-based reactivity. There is nothing so beautiful as a handler working lockstep with a scenting dog. Your dog will love spending time with you doing Nosework! Do you ever say that your dog “lies”? Or if you don’t do know know WHY you are getting False Alerts? Did you know that your history will plague you? The more False Alerts you have the more you will get, UNLESS you stop the cycle. We will explore the causes of False Alerts and will discuss how to fix them. Converging Odor is likely the most challenging skill in competitive nosework. You have to know when you’re in it and then you have to solve it quickly. The more convergence, the more challenging the puzzle. In this webinar we will explore converging odor, understand why our dogs are pretty incredible and we will have a plan to handle and train! Don’t miss this one! 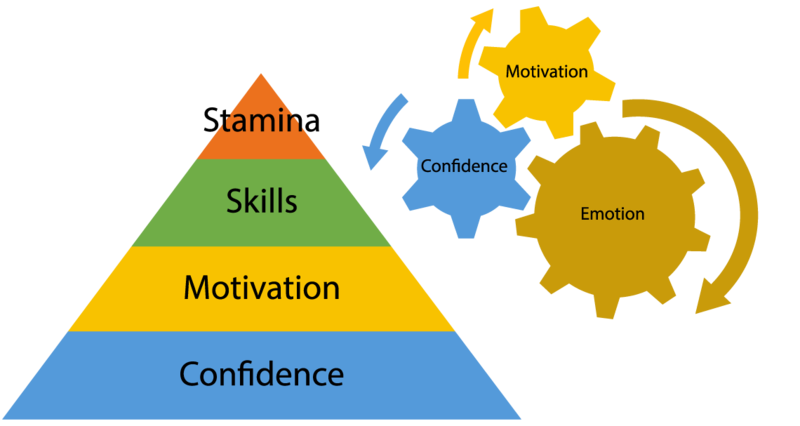 Stacy structures everything around her Pyramid: The Four Cornerstones of Trial Preparation. Confidence and Motivation are sacred. Emotions can be trained. Arousal is a habit. These are core concepts of what she teaches.